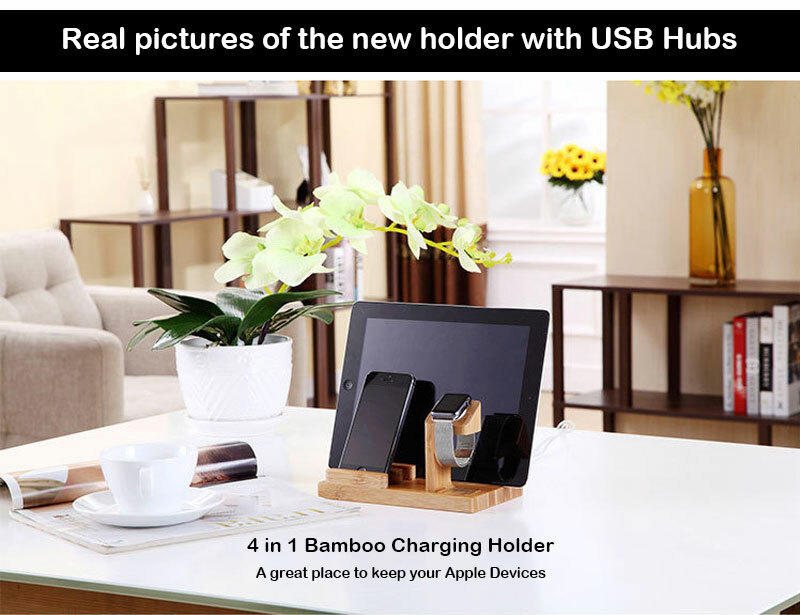 With this 4 in 1 bamboo holder, you could put your apple devices like Ipad, iphones and iwatch in one place. 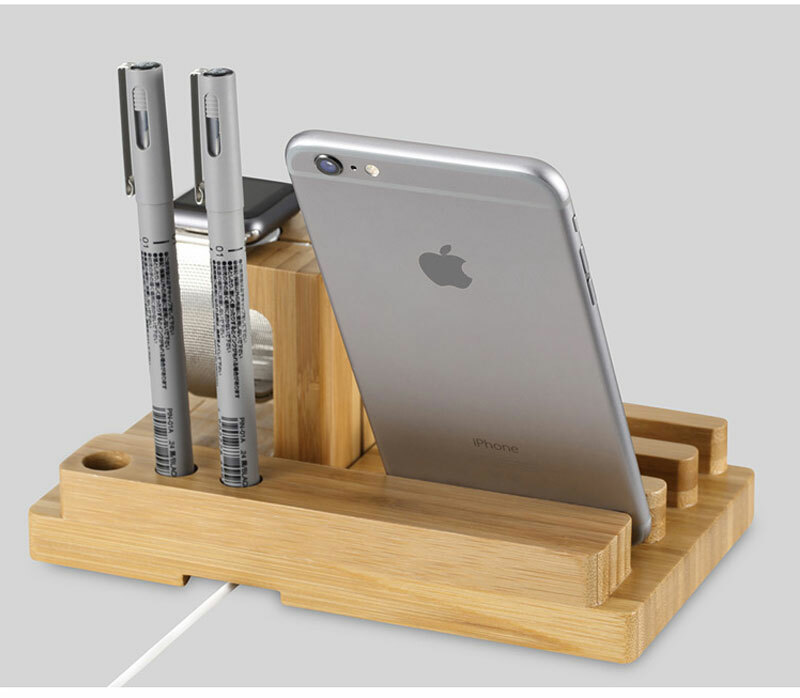 And you could put pens in the pen holder. The new design with 4 USB 2.0 ports, you could charge 4 devices simultaneously. 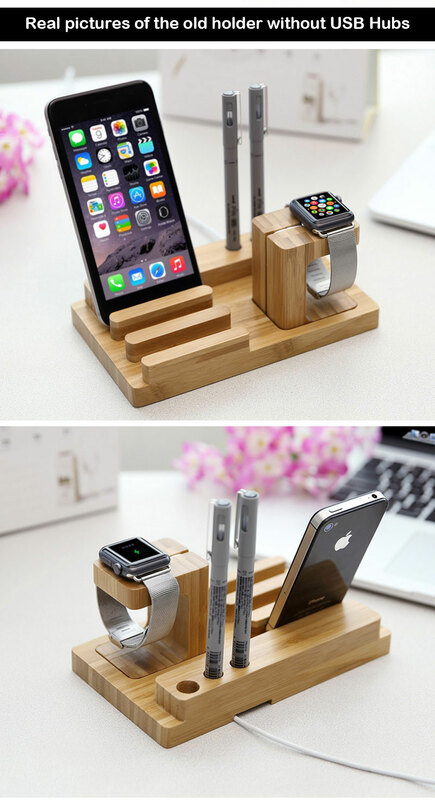 38mm and 42mm watch holder for your choices. 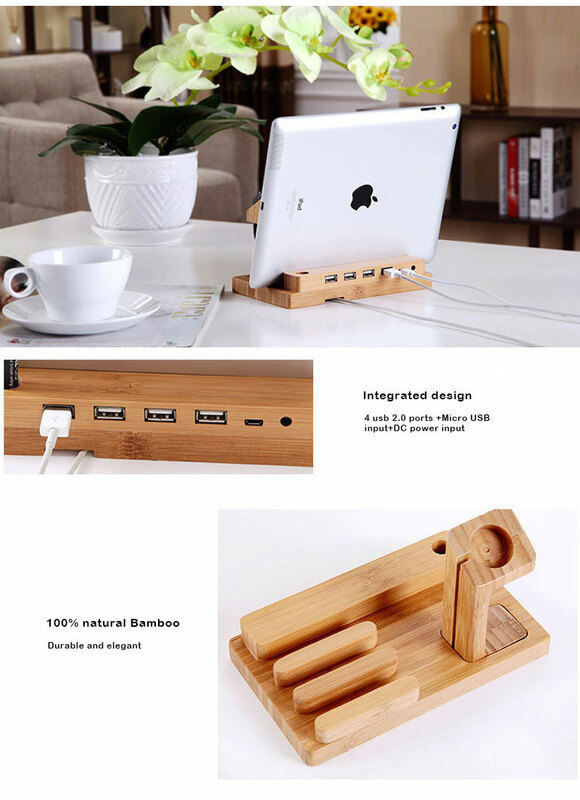 No more messy of charging cables and electronic devices, an multiple device organizer on your table. 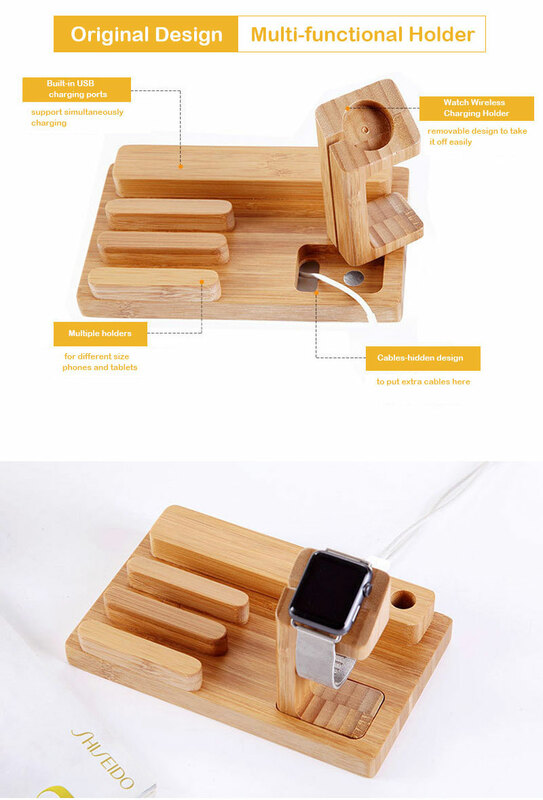 · 【Multiple Device Organizer】- This bamboo-based charging station with 4 USB ports can accommodate and charge up to 4 devices simultaneously. 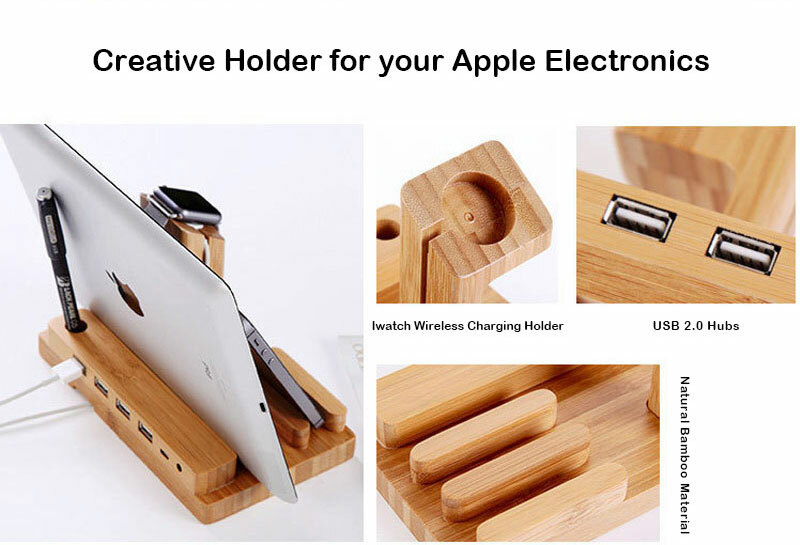 Its powerful storage capacity helps to organize popular equipment such as iPhone, Apple watch (38mm and 42mm sizes), Android, iPad, iPad Mini, Nexus 7, Kindle, and Samsung Galaxy. 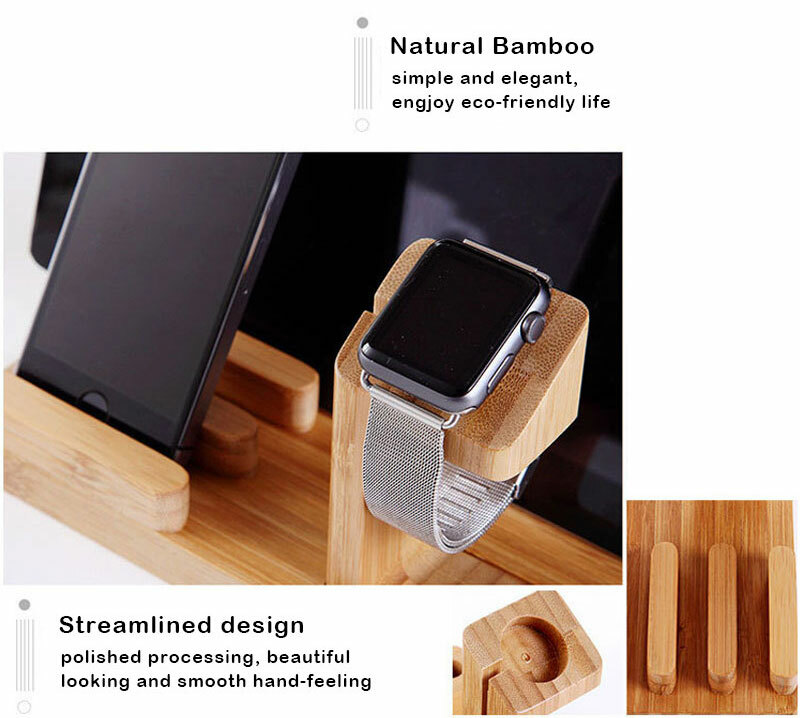 · 【Eco-Friendly Bamboo Material】-The holder is made of 100% natural, durable Bamboo. Every edge is polished and smooth, and the streamlined design and structure make the station an attractive decoration and artwork. 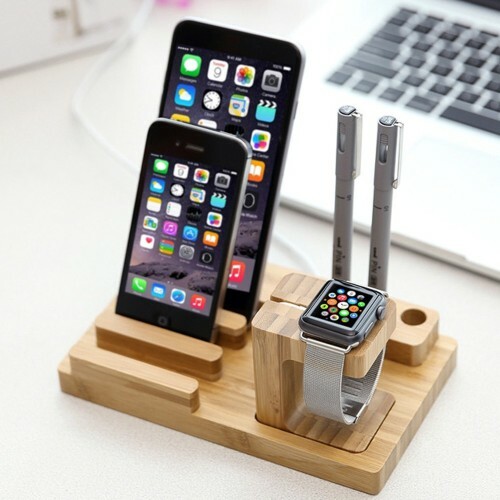 · 【Removable Apple Watch Stand】- The Apple Watch Charging Stand Part is connected to the base with magnet, and it can be disconnected to accommodate other larger devices.38mm and 42mm for your different watch sizes. · 【Suitable for Multi Occasions】- Simple, practical, convenient, and powerful storage organization, suitable for business meeting rooms, classrooms, restaurants, hotels, homes, and RVs. Can accommodate a variety of electronic devices.